Our daughter has been visiting the past week and we have been going through old family memorabilia. This needlepoint was buried in a container with other miscellaneous photos and such. 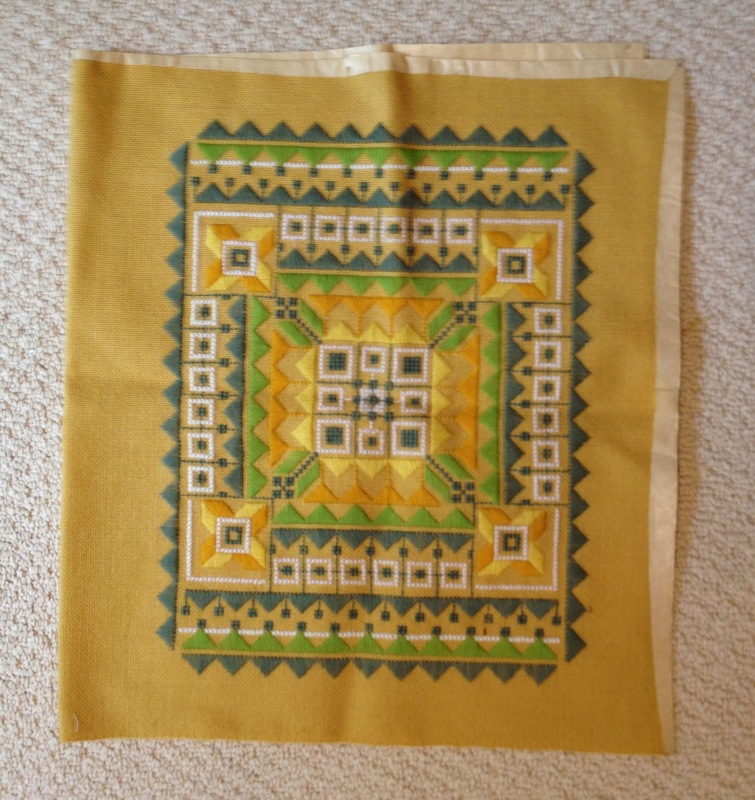 It was a pillow top kit that an aunt had bought in Scandinavia on a trip long, long ago. She gave it to me in the 1970's to do for her and I completed it and returned with a note. 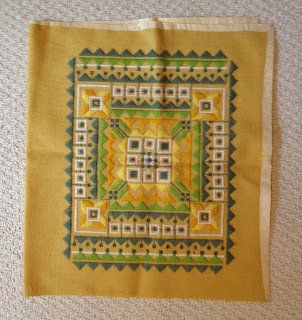 It never got made into a pillow and was returned to me upon her passing back in the 1980's. Needless to say, it is now on my 'To Do' list for September. I am still processing the mountain of information that I was exposed to at the June Ricky Timm's event here in Rochester. The use of mylar in design work came up a number of times in the seminar and I have since seen it mentioned in a number of other blogs, articles, etc on art quilts. I am currently working on another quilt in my Antarctic series and have decided to play with incorporating a mylar outline of my pattern into my process. 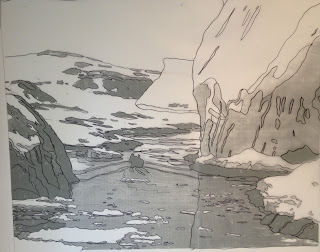 What I have done is place a piece of mylar over a black/white photo blown up to my desired size of quilt and traced on the mylar the breakdown of the photo into fabric pieces as well as a tentative color scheme - capturing gradations for various colors I intend to use. The mylar will serve as my pattern for cutting and placing fabric. Will let you know how it goes as I work with this piece in the next month. I am excited at the possibility.